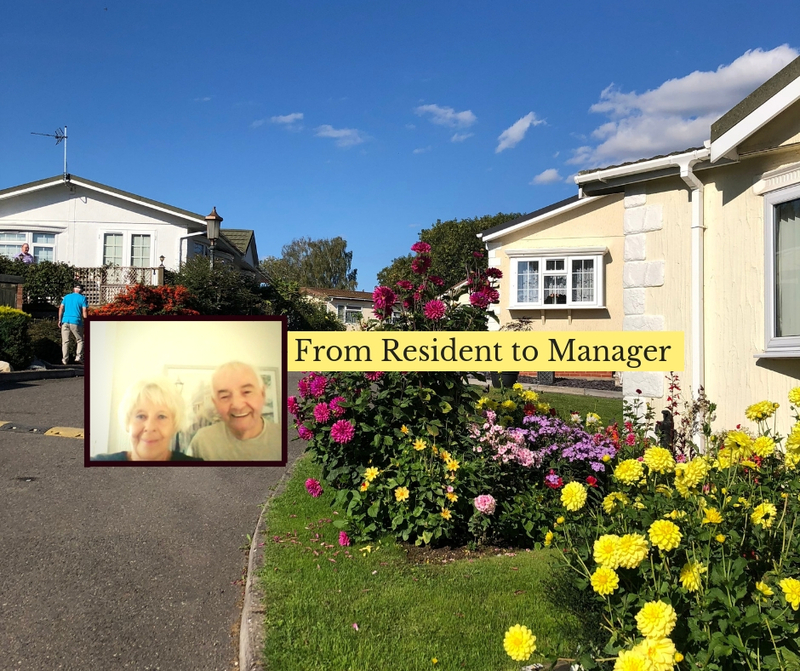 Almost a dozen years ago, Jim and I, decided to downsize to cash in some equity from our bungalow, but every bungalow we looked at to buy was really expensive and the move just was not making sense. Someone suggested Park Homes to us and it was something we had never really thought about before. We decided to take a look and see what the homes and the parks were like and we were honestly surprised and delighted to find we could afford a brand new home finished to a high standard, fully furnished and at half the cost of standard bricks and mortar home. After looking at several parks we found Blueleighs, a lovely park with an eye-catching landscape. It also had the added benefit of a bus stop less than a 10 mins walk, which was great for me as I don’t drive. The bus stop has a great bus-service with half-hourly access to Ipswich and Stowmarket. We saw the park, and liked the area and knew right away this is what we wanted. We moved in quickly and soon made great friends in the park. I personally know that a lot of residents as they get older are grateful and appreciate the fact that there is always someone to help and support if and as needed. About a year after we had started living on Blueleighs, the Park Manager moved on and Alfie Best asked us if we would like to manage the park! I was quite pleased that Alfie thought I could be a focal point between Wyldecrest and the park residents to help and streamline various activities. I gladly accepted the offer and have been managing the park for the past ten years! It has been a pleasure as I have developed a great relationship with Wyldecrest and have come to know all the staff. I have seen time and again, how everyone- from management to staff, comes together to help when needed and make things happen. Jim and I have enjoyed meeting people and helping them start the new chapter of their life here. We have made amazing friends on the way and have really nothing bad to say about the whole experience. Okay, I have to admit there is one downside- reading the electric meters in February, but the sun can’t shine all the time! PS: Not to forget, park homes are easy to clean and maintain so you will always have a lot of leisure time to do what you want to do. We have lived here for 11 years now and couldn’t recommend it more! Blueleighs Residential Park is located in a beautiful setting with picturesque views over open countryside and woodland in the Heart of Suffolk. The park nestles in the ancient great wood overlooking the historic village of Great Blakenham. It has been cleverly landscaped to a unique design which breaks away from the traditional uniform park appearance, thus giving the park a ‘village feel’ character of its own. Just five hundred metres from the park there is a bus stop that will take you to Ipswich, local shops are one mile away and the nearest supermarket is a ten-minute drive away, so whatever your requirements your shopping needs are catered for. The Park is just eleven miles from the coast where you can spend the day enjoying sea views and fresh air. Why not see for yourself, please get in touch with us and book a visit to Blueleighs Park today? If you are considering the move to a park home or you’re interested in buying a park home, text HOME to 82228 or visit our website https://www.wyldecrestparks.co.uk/property_location/blueleighs-residential-park/, or call us at 03301337300.